The sword is the most revered of all of man's weapons. Although the club is older, the knife more universal, and the firearm much more efficient, it is to the sword that most decoration, myth, mysticism and reverence has been given. The katana has been called "The Soul of the Samurai," the Vikings lavished love, care and attached wonderful names to their weapons. The sword has been the symbol of Justice, of Vengeance, and of Mercy. No one artifact has so captured the imagination as has the sword. As our society has grown more and more advanced, and more reliant on technology, there has been an increased interest in the weapons of the past. The romance of the sword is very much alive--but movies, books and fiction of all types have romanticized the past, and particularly the sword, beyond all recognition of the real thing. Drawing on information from grave excavations, illustrations of battle scenes, and many classical and medieval literary sources, this book discusses how contemporaries showed swords were used. Building on Oakeshott and other authoritative writers on the subject, this volume, representing ten years of writing and a lifetime of experience, will add to the body of knowledge of the history of swords by illustrating not only the beauty of the form of the sword, but also their beauty of function. Hank Reinhardt was a widely known authority on medieval arms and armor and an icon of Southern science fiction fandom for over fifty years. He had written numerous articles on swords and knives, and was in the process of writing this book on the history and use of the sword at the time of his death in 2007. 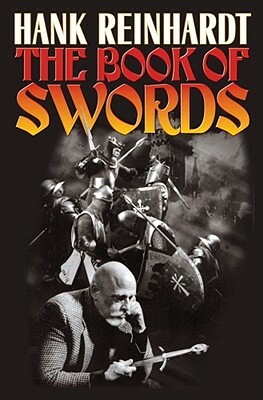 He produced two videos with Paladin Press on the sword, and was a columnist for Blade magazine on swords in the movies. He was a cofounder of the mail order business Museum Replicas, Ltd. and a consultant to many sword makers. Unlike many experts, Reinhardt insisted on actually making and testing the weapons he wrote about, and through his various activities he has been instrumental in increasing the popularity of arms and armor in mainstream America. He has received numerous awards for his work with bladed weapons, most recently the Industry Achievement Award given at the 2006 Blade Show in Atlanta. Hank will appear in Reclaiming the Blade, a documentary due for release in 2008.